"Wow! The 16th move! Thanks to my kids coming to help us move in and a special thanks to the entire Marrick team for making this the easiest move in and home buying experience we've ever had." "All I can say is that Marrick has been awesome. Everyone I met was friendly, courteous and very willing to explain things. The various teams were professional, answered my questions and did a fantastic job. My home is beautiful! I could not have asked for a better builder - and I knew it from the start." This home has been a dream of ours for over 5 years; not only did you all help our dream come true but the quality of your workmanship and your customer service far exceeds anything we were expecting. We would like to thank you all for all of the hard work each and every person involved in our process put in; from working with Mike and Becky during the initial phases of choosing our plan and all of the updates they provided along the way, to Tammy with her design expertise, and Kevin with his supervision throughout the construction process and the patience he has had with us on the questions we have had since the home was completed. Your team is top notch and we are blessed to be owners of our new Marrick home! Building our house with Marrick Homes was the best decision we've made for our family. Their build quality is excellent and the College Station community is the best place to live for our children and us. Thank you for giving us a wonderful experience through the process! We want to thank you (Ken) sincerely for going above and beyond to make us buying a house an awesome experience. You made this process an absolute smooth and memorable. Your knowledge and skills in your field are remarkable and you were always on top of your game always. We salute you and say, "you are simply the best"! We love our house and love your gift. Thanks a million! Marrick Homes is wonderful to work with. They made our dream a reality. We love our home! Mr. Webster, My family and I just completed the walk-through at the new house with Cory and we are very pleased with the build.My family and I would love to give our appreciation to Cory & Ken with their customer service and time to make this transaction great. We greatly appreciate your help to get our dream and assistance for an accessible house to help me with my mobility issues. We wanted to thank both Tim (Williams) and Lynn (Smithburger) for their help and support of buying our new home. There were things we did not initally know, and they were there to help guide us in the right direction. They were kind, and easy to talk with. It made the transition easy! Thank you again for all your support! We wanted to thank the Marrick Team for making this dream possible! Mike Parker was very professional, and well versed. He kept us update and informed at all times, was always available, and always answered phone calls and messages. He went above and beyond what we felt were his responsibilities. We would highly recommend Michael Parker and Marrick Homes to anyone, which we already have done. He was truly a pleasure to work with. Between my wedding, various neighborhood cookouts and family functions, I’ve had numerous positive comments from my guests about my house. Everyone loves how customized my inside is! I have been telling everyone - Marrick Homes is the only builder in PG County that can customize with quality and stand behind what they build. I can truly say Marrick have always addressed my needs and have always provided excellent service. Keep up the good work! "My wife and I have purchased two other homes in Calvert Country from different builders prior to purchasing a home from Marrick Properties, Inc. In these previous experiences, the builders were very rigid and uninviting. This has not been the case in our dealings with Marrick. Purchasing a home from Marrick has been the best decision we have made. Buying a house can be a stressful event, but the folks at Marrick have made this an extremely easy and enjoyable experience for our family. The Community Sales Manager at the Marley Run, Sherri Verdon, welcomed our family into the model and made us feel at home. Her personality made us feel comfortable as she patiently worked with us through each step of the home buying process. She made this community the place we wanted to be. The experience with our foreman, Kevin Nash, has been just as pleasant. We met with Kevin during our preconstruction meeting where he went over the plans to build our new home. He was extremely helpful answering questions and helping us make changes to the plans that best benefit our family. We highly recommend Marrick hands down. In comparison to other builders in the county there is no contest. They make you feel at home and have helped us build our dream home that until we met Sherri didn't think was possible. " 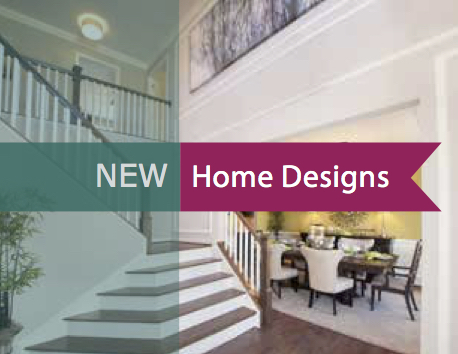 As a first time home builder/buyer, I did not have any idea of how to go about designing the home of my dreams. Mike Parker was an angel from above! 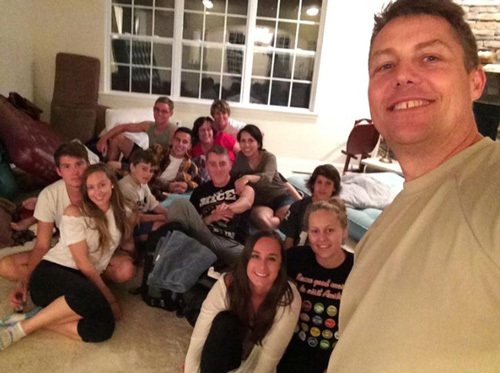 He and his team made the home construction process so easy and stress-free! During my consultation with Mike, I described the home I would like to build and what it would include. He took my description of my dream house and offered to give me tours of newly constructed homes that were similar in style. From there, we were able to draw and customize floor plans to make it so perfect in my eyes! In addition, the Marrick team is absolutely fabulous at communicating. Within hours, they would return my calls and emails to them. Mike even answered my call one day while he was golfing with friends! They are very responsive and absolutely keep customer satisfaction at the forefront. I have been in my home for one week and I have already referred one friend who is interested in building on a private lot. I have nothing but wonderful things to say about Mike and his team at Marrick. They helped my dream become reality and I hope to live in my home for the rest of my life. I love it!! Dear Mr. Webster, overall, we could not be happier with our decision to build with Marrick Homes, Inc. Our home is so beautiful and well-constructed! We loved the flexibility of Marrick’s customization options, as well as the support, guidance, and suggestions provided to us by the sales department and construction team alike. Sherri Margaraci-Verdon was a pleasure to work with. Her professionalism and positive attitude at all times guided us transparently through the complex home-building process. She is the model for exceptional customer service and we were so fortunate to have had her as our sales representative. Kevin Nash’s knowledge and patience through the construction process gave us assurance that the job will be thoroughly and expertly completed. Skip Bowen is an unrivaled perfectionist who works diligently and patiently until the issue at hand is expertly resolved. It was great fun to watch our home’s construction progress! We cannot fully describe the pure joy we feel each day waking up in our Marrick Home and the peace of mind we have when we drive into the Marley Run neighborhood after a long day. There is no doubt that I would highly recommend anyone to build a home with Marrick Homes, Inc. We would like to thoroughly thank the aforementioned individuals, as well as all of Marrick Homes personnel we interacted with, for their excellence! "Thank you so much for making our new house a home. 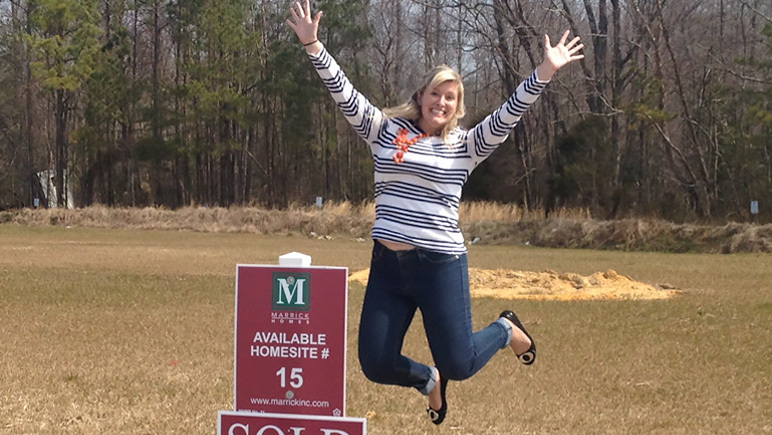 We couldn’t be more excited about our new beginning with Marrick Homes. Your team managed to make what could have been a stressful transition for our family, very easy. We have admired your homes for years. We thought we would have to move back down south to get our dream home with a porch and 5 acres. Little did we know it would be so close to our 1st home in Upper Marlboro, MD. 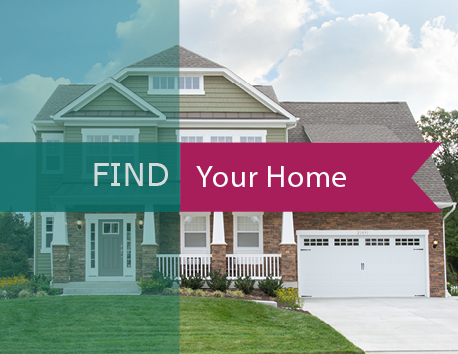 Marrick Homes continues to add the personal touch to the home buying experience. You are awesome. I can’t stop talking about our wonderful home buying experience. Our smiles leave us speechless." Dear Marrick Homes: As the saying goes, good things come to those who wait, that is certainly true for my family. Larry and I had been dreaming about building our own home for several years. We’d take drives around different neighborhoods looking at model homes then one day we stopped at Leonardtown Farms. Look no further, we knew we had to own a Marrick Home. A few years later, as luck would have it, Larry got a position at CiVista Medical Center and we decided to look at Marrick Homes in Charles County. Fortunately, that is when we discovered Knotting Hill and had the pleasure of meeting Sherri Verdon, the community sales manager for Charles County. What a rewarding experience it has been sharing this adventure with Sherri. She has always been welcoming, friendly, creative and professional and never failed to greet us with a big hug, we looked forward to seeing her each Friday as we visited Knotting Hill to follow the progress of our home. In addition to Sherri, we also had the pleasure of working with Carl, what a terrific team they make. Carl was always very attentive to our needs; he was kind, efficient and helpful, we are truly grateful that he and Sherri made our home building experience very memorable. We have nothing but favorable things to say about Marrick Homes and everyone we’ve had the pleasure of working with. What a wonderful organization to be a part of. We thank you so much! Sincerely, Lawrence and Lisa Pickering. 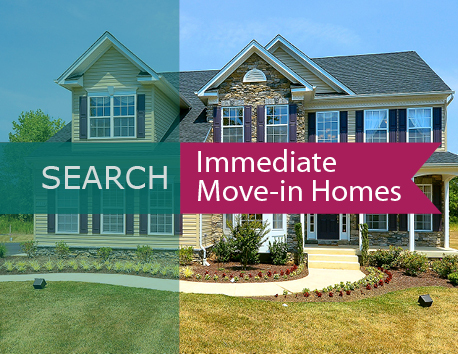 I am writing to share my experience with Tim Williams, my Marrick Homes Sales Representative. Mr. Williams is an enthusiastic salesman and it has been our very great pleasure going through this process with him guiding my husband and I through this new construction process. Receptive, attentive, and responsive are three words that summarize my impression of Mr. Williams personality. He was very attentive to our needs and questions. If Mr. Williams didn’t know the answer to our questions he made sure to find the answer and got back to us immediately. Tim has a keen sense of observation and a desire to know more. He always took a deep dive into questions we asked to answer not just our initial question but provide additional detail that gave a full picture of what was included and the next steps in buying a Marrick home. We foresee a very bright future ahead for Mr. Williams with Marrick Homes and had a great experience working with him. Tim, Christi, Lynn and the rest of the Marrick Homes team for making our initial home building experience as stress free as possible. Once we met Tim, and began the project, everything that we desired in our new home was made a reality including several customized features. Tim and the Marrick Homes team were extremely attentive to our many questions and receptive to changes we wanted to make along the way. Everyone was always professional and made us feel as if our home was most important. From the cookies to the final contract, Tim did everything to make our experience a good one. We were kept up-to-date throughout the contractual process, and are very pleased. Suffice it to say, we believe we could not have chosen a better company to build our home. Thanks to all of you for a job well done. Dear Mr. Webster, My name is Bill Napier, my wife Angel and I purchased a house in Ben Oaks with the exceptional help of Ken Weeks. I want you to know that Ken did a wonderful job during the entire process of our home buying experience. The process was very stressful when dealing with the bank; there were times when I didn't think we were going to get the loan. Ken stayed very positive, he was very informative and answered any questions we had. In fact, Angel and I did not find out from the bank that we were approved. We found out through Ken. Ken is a stand up guy, very professional and you should be happy that you have him on your team. Thank you to Marrick homes as well for building a beautiful home that I know Angel and I will enjoy for many years to come. Sincerely, Bill Napier III. Dear Mr. Webster, Earlier this year we began the process of building a home with Marrick Homes at Marley Run. While we have been home owners for over 40 years, this is our first experience building a custom home. It was a rather daunting task, which, without the help of our team, would have been overwhelming! From the moment we met with Lynn Smithburger in Sales and Marketing and Sherri Verdon, our Sales Manager, we were impressed with their professionalism and willingness to work with our schedules and special needs. They listened attentively to our concerns, offered helpful suggestions, and arranged for several changes to our initial plans. Calls and e-mails were always returned promptly and questions answered fully. Linda Ciancio, Jennifer Harris, and Tammy Hurlock, of the Design Center, were all friendly, knowledgeable individuals who answered dozens of questions, spent hours pulling samples for comparison, and looking up information for us to ensure we got exactly what we wanted. Later, working with Kevin Nash, our Site Superintendent, we were walked through our site plan with meticulous care to ensure we fully understood what we were looking at. He carefully explained the myriad arcane issues involved with the building and wiring of the home to ensure we understood. Settlement on the house is slated for September 25th; I can’t tell you how excited we are and how much we’re looking forward to our new home. Working with this team of individuals to pull it all together and make it happen was a pleasure. Kudos all around– they deserve it! Sherri, Kevin & Jordan: The Waller family would like to send sincerest thanks for the help you rendered in helping us acquire our new home in Marley Run. We appreciated the time you spent explaining every single step and the patience you exhibited. Sherri, you were such a stabilizing force throughout the whole process! You were the one who showed us from day 1 that this was do-able and you provided us with sound advice. You were always quick to return calls, answer questions and advise us on matters concerning the buy and more. professionalism was top notch…we enjoyed working with you tremendously! Kevin, you kept an open mind in dealing with our requests, you were conscientious, diligent in working solutions for us, didn’t mind tons of questions, and finally your demeanor made us truly comfortable. You made things happen, and the follow-up care at this point is outstanding. Thank you for making it all a pleasure and not a headache! Jordan, you were awesome. Your timely and professional care and financial expertise were exemplary and directly affected this purchase. Thank you for the speedy replies, the efficiency, and finally the real care you showed in dealing with us. We wish there was an award to give to you all…you are so very deserving. You are a great team and Marrick Homes should be proud to have you on the front lines promoting the business in such an exceptional way! Dear Marrick Homes, We purchased a new Marrick home in Marley Run in August 2015 and are writing to express our sincere thanks and appreciation for the professionalism and quality customer service received from your company, and that in particular demonstrated by Sherri Verdon and Kevin Nash. Buying a home is an especially stressful time for a family in transition, even if everything goes the best it possibly can. Through continuous support and guidance from both Sherri and Kevin through the process, our experience was a positive one. They both spent the extra time needed to ensure everything with our new home was ready on time, allowing us to focus more on our family and the move process. We were impressed with how stress-free and simple Sherri made the entire process, navigating us through effortlessly. We have purchased several houses in the past, and by far this has been the least stressful overall. Sherri was always a breath of fresh air, from the initial meeting, through the day we moved in. She always understood what was important to help us feel at ease with the decisions we needed to make, and never once made us feel pressured into making them. Her confident, yet pleasant disposition helped us set our minds at ease through the process. There were times in the process that we had a concern about moving forward, and Sherri, along with Site Foreman Kevin Nash, always made themselves available to answer our tough questions completely and thoroughly. Amongst many other things, Site Foreman Kevin Nash conducted the final walkthrough with us, providing a complete and thorough explanation of all aspects of the house and its operation. He demonstrated how each component works and confirmed that we understood before moving to the next item. Kevin demonstrated professionalism and understanding as we conducted the walkthrough, generating a punch list of items that required follow-up. Nothing we pointed out was too little or too small; Kevin graciously added our items to his list to be addressed. He immediately took action to correct every item on the punch list, coordinating each to completion, keeping us informed along the way. Kevin and Sherri do an outstanding job representing the quality and commitment Marrick Homes, Inc. puts into their products, valuing the needs of their customers, and making the process as smooth and painless as possible. We thank them and the entire company for a job well done!